Prize Catch: The world’s most powerful teenager just won the world’s biggest prize. 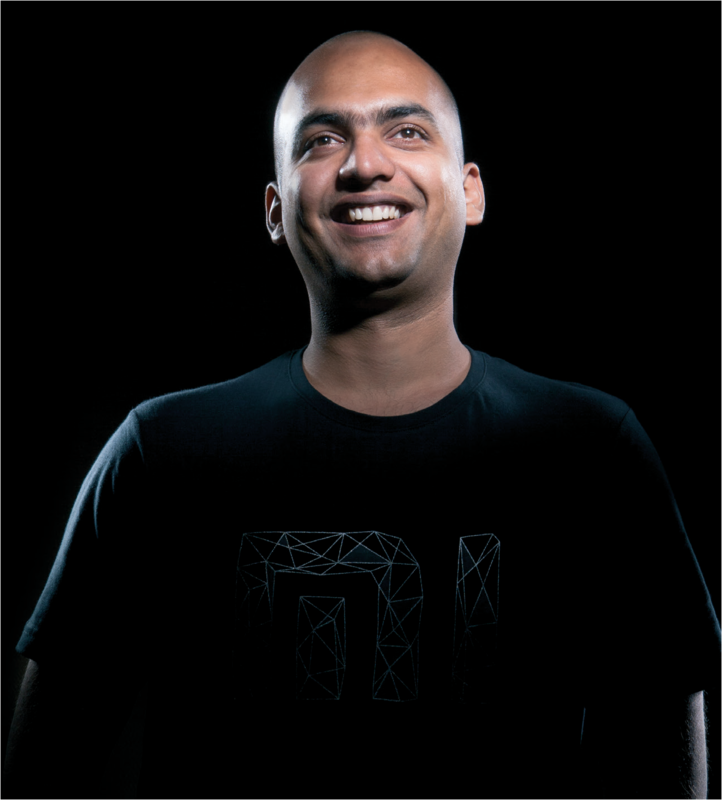 Here’s why an ex-techie from Bangalore is kicked about it. With looks like Hagrid the gamekeeper from Potterverse, 31-year-old D.N. Guruprasad is of a piece with the heaving shelves at Aakruti Books in Bangalore’s Rajajinagar area. He started the basement store in 2010 after dumping a career in software engineering, and soon turned a passionate publisher of Kannada books. Aakruti has brought out 17 of them till date. But passion aside, Guruprasad says this is a cruel business. 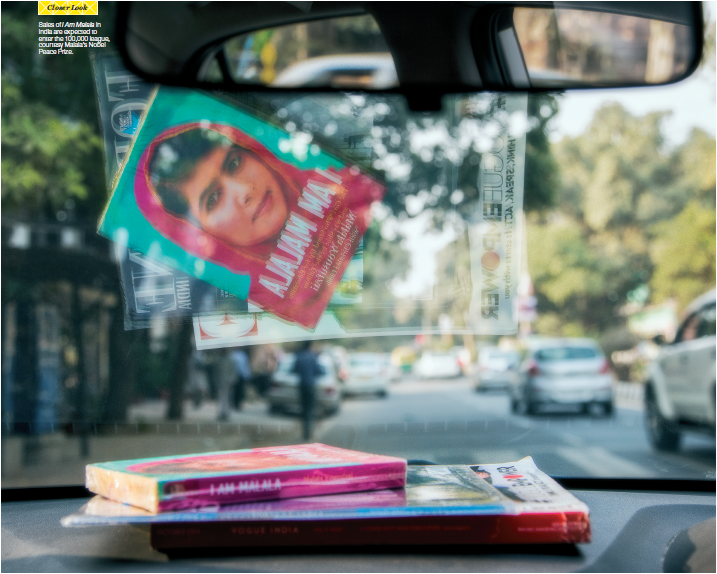 “We struggle to sell even a thousand copies of a book.” Of late though, Guruprasad has found fresh reason to be excited: Partnering with Malayalam,Tamil, and Marathi publishers, he has acquired the rights to produce a local edition of Little, Brown and Company’s global phenomenon I Am Malala. D.N. Guruprasad with Naanu Malala at Aakruti Books, Bangalore. Every year, the announcement of major international awards triggers frenzied commentary on the windfall for publishers. The Guardian, for instance, says Indian author Aravind Adiga’s The White Tiger—published by Atlantic Books in Britain and HarperCollins in India—sold over 1,600% more after winning the 2008 Booker Prize (pre-award week sales: 463; prize week sales: 8,033), citing data from industry monitor Nielsen Bookscan. Last year’s literature Nobel for Canadian author Alice Munro delivered similar returns, with sales of her titles reportedly spiking by anything between 4,424% (for English versions in Canada) to 4,213% (Italian translations). But such analysis is rare in India—despite boasting the world’s largest English publishing industry after the U.S. and Britain, and darlings of the award circuit like Adiga, Arundhati Roy (Booker, 1997), Jhumpa Lahiri (Pulitzer, 1999), Kiran Desai (Booker, 2006), and Siddhartha Mukherjee (Pulitzer, 2011). Nielsen Bookscan is present in India too, but it did not respond to my questions. Rs 250, compared to Rs 399 for the original. “Finally, Little, Brown was happy to deal with four language territories at one go,” says Thomas. Thomas believes that success for the translations will attract global attention to India’s regional publishing scene. At the same time, he says the hype around the Nobel is fanning demand for spurious versions of the book, at least one of which is already doing roaring business in Kerala. Guru meanwhile is grappling with a more philosophical question: Translating a hit may be good business, but it takes away from the focus on promoting homegrown talent. For the moment though, he has made peace. “People have rejected Kannada books because they aren’t happy with what’s generally sold,” he says. 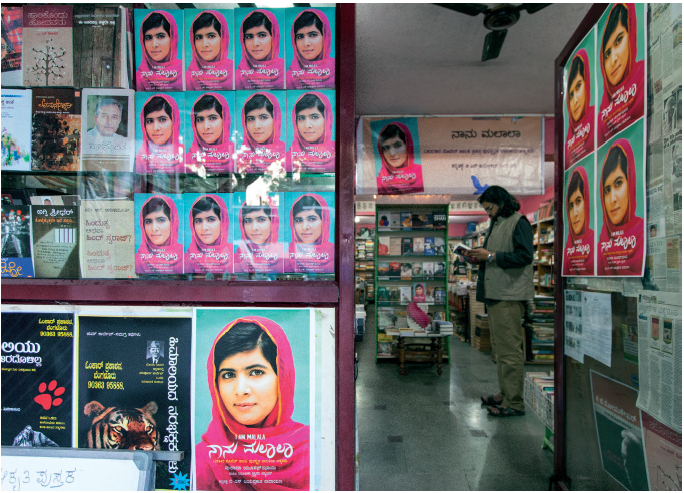 “We need strong content [like Malala] to bring them back. “WE ARE A BIG HAPPY FAMILY!” declares Saiful Alam, after he has waved away my apologies for turning up at his office unannounced. “This place had nothing, just barren land,” he says, pointing through his window at Duki, a village of 200 households near the sal forests of Goaltore and Arabari in West Bengal’s tribal-dominated Paschim Medinipur district—where a third of the population lives below the poverty line. “We gave the people jobs. We put up water pumps. We send our ambulance for the sick. We feed the hungry,” he reels off, even before I can ask him a question. The eager, middle-aged man could pass off as a missionary in this wilderness—buffeted by a war against Maoist insurgents that killed nearly 700 people from 2005 to 2012, according to conflict watchdog South Asia Terrorism Portal. Except Alam is the general manager of a film city—at 2,700 acres, “the world’s largest”—owned by the financial services-to-fly ash conglomerate Prayag Group. Designed by Bollywood art director Nitish Roy—and with Shah Rukh Khan as its mascot—the film city’s first phase cost Rs 1,000 crore. 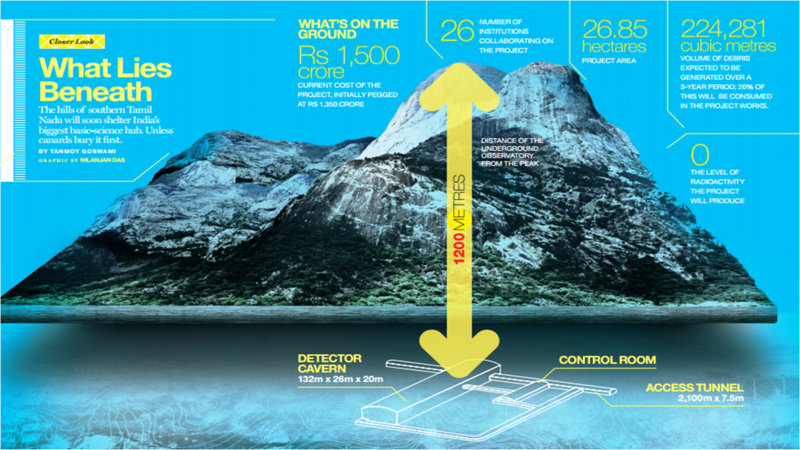 Two more phases are on the drawing board, requiring another Rs 2,000 crore. (Fortune India could not independently verify those numbers.) Apart from Duki’s welfare, the money pays for 50 custom-designed sets, eight landscaped gardens and artificial water bodies, postproduction studios, a helipad, a dummy railway station with a train, luxury hotels, museums on Indian dynasties, life-sized models of famous Indian temples, and, for good measure, 110 miniatures of landmarks from across the world. The opulence sticks out, and not just because of its immediate milieu. The economy of Bengal went all but bankrupt in 2012, the year when Khan unveiled the film city in a high-voltage function featuring a bevy of stars from Bollywood and Tollywood—the Bengali film industry, named after capital Kolkata’s Tollygunge studio neighbourhood. Stillborn projects saw investments crash to a 10-year low of Rs 312 crore, from over Rs 2,000 crore and Rs 15,000 crore in the previous two years. largest ever private investment by JSW Steel to an Infosys campus—have failed to take off. reports that investors are spooked by Banerjee’s strictures against land acquisition, which famously forced Tata Motors out of the state in 2008. The dereliction of the state’s few existing bellwethers—notably, the recently shuttered Ambassador and Shalimar Paints factories—hasn’t helped. Add to that the debt—the Economic and Political Weekly puts it at 37.5% of the domestic product, twice the average of all Indian states—and it’s difficult to overstate the crisis. But, as the film city’s sprawling grounds testify, things were very different in the movies. Data on the largely unorganised sector remains notoriously scant. But a report by consultancy firm Deloitte and advocacy body Federation of Indian Chambers of Commerce and Industry (FICCI) says budgets of Tollywood’s biggest films topped Rs 6 crore in 2011, soaring nearly 300% over the previous year. Total investments touched Rs 150 crore—a 20% spike y-o-y. The industry produced 122 certified films—10% more than the previous year and nearly three times the number four years ago. In 2012, Tollywood delivered its biggest ever hit, Shree Venkatesh Films’ (SVF) Awara—a remake of a Telugu action film—starring superstar Jeet, which reportedly grossed Rs 8.5 crore in theatrical collections. (SVF says it broke that record the very next year, when its adventure flick Chander Pahar, headlining reigning heartthrob and Paschim Medinipur lad Dev, grossed Rs 20 crore. With a budget of Rs 15 crore, it’s also Tollywood’s costliest film ever.) Bengali films also attracted plum satellite rights, opening up a new revenue stream, though those numbers are impossible to get. The windfall was played up all across the media—even nationally—as a miracle in the state’s industrial wasteland. In business terms, Tollywood was still negligible compared to the south: Attarintiki Daredi, 2013’s biggest Telugu hit, for instance, alone cost Rs 55 crore and raked in Rs 187 crore. (Apart from the fact that remakes of Telugu movies are a staple here, the comparison with the Telugu industry [which also calls itself Tollywood] is pertinent, because both languages are spoken by about 8 crore people in India.) But given the gloom in other sectors, the industry’s real value went way beyond just numbers. “Good-looking heroes and heroines, who spoke Bengali and romanced in posh locations in Turkey, Greece, or Italy, gave new dreams to the youth in Bengal’s villages,” says Himanshu Dhanuka, a 28-year-old mechanical engineer from National Institute of Technology, Kurukshetra, who runs Eskay Movies, a leading production house.Critics found the trend crude—Subhajit Chattopadhyay, who teaches film studies at Kolkata’s Jadavpur University, says Tollywood reduced “the reality of the youth to malls and coffee shops”—but the embattled chief minister sensed the chance to fashion a brand-new image for the state. During her land agitation days, Banerjee had developed a strong support base among Bengal’s traditional opinion-shapers: its artists and intellectuals. Her party, the Trinamool Congress, had three MPs from Tollywood in the previous Lok Sabha. Now, she started cultivating an unprecedented spate of heavyweight celebs, notably Dev—who won the 2014 Lok Sabha polls on a Trinamool ticket—and National Award-winning actor Mithun Chakraborty, whom Banerjee nominated to the Rajya Sabha. Several others were installed at assorted high offices: sheriff of Kolkata, working president of the Trinamool Youth Congress, members of the state women’s commission, even president of the State Council for Vocational Education and Training. The plan wasn’t restricted to Tollywood: Even before Prayag signed him, Banerjee appointed megastar Khan the state’s brand ambassador, building on the popularity of his IPL franchise Kolkata Knight Riders. But while her proximity with stars generated intense commentary—a lot of it derisive, and involving predictable comparisons with South India’s cinema-politics nexus—a much wider gambit barely managed mention: She pitchforked cinema as Bengal’s flagship industry at the high table of economic diplomacy. That happened in a May 2012 meeting in Kolkata with U.S. secretary of state Hillary Clinton, where Banerjee threw her weight behind “cooperation between Hollywood, Bollywood, and Tollywood” to build showbiz infrastructure. Backing from Khan—who called the chief minister “sweet, loving, and feisty” in an e-mail to me—impressed Clinton, and she promised to seriously consider the proposal. Buoyed by the signals, Banerjee declared in November that the entertainment industry was ready to shape a new era in West Bengal. The following month, in a symbolic coup, the government announced that Hollywood had expressed interest in partnering two upcoming, state-endorsed film cities. That’s when reality caught up. Exhibit A: the world’s largest film city. Soon after its gala inauguration, its Facebook page and Twitter handle went dead. (Khan did not answer my question on the project). There’s no website, no contacts. Prayag’s corporate site lists a number, but no one responds. I visit its office at Kolkata’s busy India Exchange Place, and find it locked from the inside. A few suspicious guards tell me to look up a hotel owned by the group on the outskirts. No, they don’t have a number. I find one online, but no one answers there either. That explains why I had to sneak up on Alam; I had no idea the man even existed. And yet, none of the obscurity is an accident: Prayag is one of the companies named in Bengal’s multibillion-dollar chit fund scam, which broke with an RBI red alert soon after the chief minister’s “new era” speech, and exposed in its wake Tollywood’s sordid underbelly. 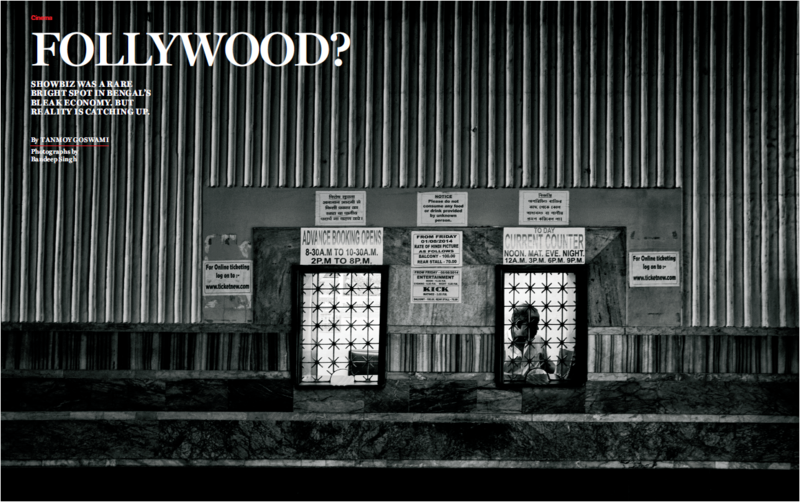 Estimates sugggest chit funds produced a whopping 60% of the films in the industry’s go-go years. Others say they pumped in Rs 400 crore to Rs 500 crore. Everybody wanted a piece—till one day, as spectacularly as it had started, the party was over. 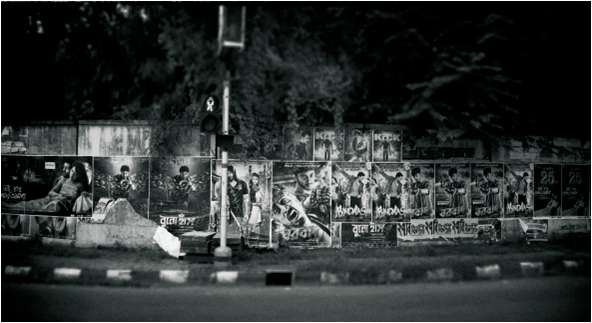 CINEMA IN BENGAL dates back to the 1890s, coinciding with its beginnings in India. Ghose points out that in undivided India, Bengali culture, including cinema, extended to Allahabad, Banaras, even Lahore. “The primacy of Kolkata (then Calcutta) in the Raj meant even Hong Kong and Singapore were considered its outposts.” But later political developments (shifting of the capital, Independence, and the birth of Bangladesh) changed it all. Most histories of Bengali cinema concentrate on a golden era from the ’50s to the ’80s, when globally feted directors Satyajit Ray, Mrinal Sen, and Ritwik Ghatak, and legendary actor Uttam Kumar brought cinema to the centre of Bengali identity. But a shortage of sellable icons after them—with the exception of a lone star, Prosenjit, who kept the industry afloat with his prolific, albeit formulaic output—meant Tollywood became culturally and financially stultified. Most films at this time could only muster shoestring budgets of about Rs 60 lakh. That helped producers stay in the black, but “production values were embarrassing—there weren’t even proper cameras”, says Mahendra Soni, co-founder of SVF. Exhibitors—the invisible faces of the industry—were the hardest hit. “Theatres barely charged six or eight rupees for a ticket,” says Soni. “They were in such bad shape that women found them unsafe.” Hundreds of theatres shut or switched trades (see graphic); Dhanuka estimates only 300 to 400 screens remain, from nearly 1,500 not so long ago. Maternal cousins Mohta and Soni—who stepped up from film distribution to production to gain creative ownership—saw opportunity in this chaos. Consensus has it that they triggered the turnaround with their 2002 hit Sathi (reported budget: Rs 1.50 crore, collections: Rs 6 crore), which introduced Jeet after a long drought of fresh faces. “We took on one problem at a time,” says Soni. “First, we decided not to be stingy—you cannot shoot an adventure film in Alipore Zoo! We invested in digitisation, so that films could be simultaneously released across the state, and distributors and exhibitors wouldn’t lose money. We acquired theatres. We started a Tollywood music channel. We even chased the media to start covering Bengali films again,” en route to building a company with an “annual turnover of Rs 125 crore, growing 15% to 20% year on year”. Jeet, whose own production house Grassroots Entertainment makes films in collaboration with Reliance Entertainment, says these efforts made Tollywood a viable investment destination. “Earlier, we couldn’t think of releasing a film at more than 30 or 35 centres. Today we see a 200-centre release, so producers can recover money much faster. National multiplex chains, such as the Rs 1,543 crore Inox Group, played a vital role in the expansion by creating space for a new, urban genre. With that, CEO Alok Tandon says Tollywood became “a balanced market with equal contribution from across regions”. Apart from Reliance, other national banners such as Mahindra’s Mumbai Mantra Media and Viacom 18 gravitated towards the rising industry, assisted by a slew of local moneybags—education groups (JIS), even kitchenware manufacturers (Bajoria Group). But the biggest cheer was reserved for Bengal’s mushrooming chit funds—perhaps the only other sector that was ‘booming’ in the state. ESTIMATES OF THE PEAK SIZE of Bengal’s chit fund industry vary wildly, from Rs 10,000 crore to Rs 40,000 crore. The association of such funds with the film business isn’t unique to the state: Ramoji Rao—the founder of Hyderabad’s Ramoji Film City, which Guinness still calls the world’s largest—started one, way back in the ’60s. But in hindsight, their unchecked growth in Tollywood—which rolled out the red carpet hastily—always had the makings of a disaster. who own virtually all big businesses in the state. (Soni, Mohta, and Dhanuka are Marwari too.) Several of them—including scam lynchpin Saradha Group—managed to build staggering connections in the film and media business, as well as a section of the ruling party, adding sheen to their brands. Rose Valley in particular emerged as a pillar of Tollywood, producing 20-odd films through a dedicated public limited company, including multiple National Award winners. The crackdown after the scam—which has spread to Assam, Odisha, and Jharkhand—gutted dozens of projects, including several by first-time filmmakers. More worryingly, it brought back the spectre of ignominy. As I write this, the Enforcement Directorate is grilling noted actor-director Aparna Sen about her role as editor of a Saradha-owned magazine. A state minister and a Trinamool Rajya Sabha member who edited a couple of newspapers published by Saradha are also being questioned. A Mint report says the government did not act even as Prayag Film City encroached on government land, but Alam denies the allegation. BUT GOUTAM GHOSE FEARS the gold rush has set in motion a toxic cycle of greed and oneupmanship. “Our main market is the Bengali middle class. They simply cannot spend so much on movies,” he says. “And yet, hundreds are being churned out every year. Many producers tell me that they can’t even recover the cost of publicity, but feudal egos stop them from admitting it in public.” Industry reports confirm that only two movies—Chander Pahar and Mishawr Rawhosyo, both from SVF—out of about a hundred recovered money in 2013. Everybody I speak to points out that opening up Bangladesh is the only way to stop scrambling over the small market, “but we haven’t shown collective will at the political or industry level”, laments Ghose. That suits Bangladeshi pirates, who are the heaviest uploaders of Tollywood films on the Net—often “sponsored” by Dhaka-based companies. 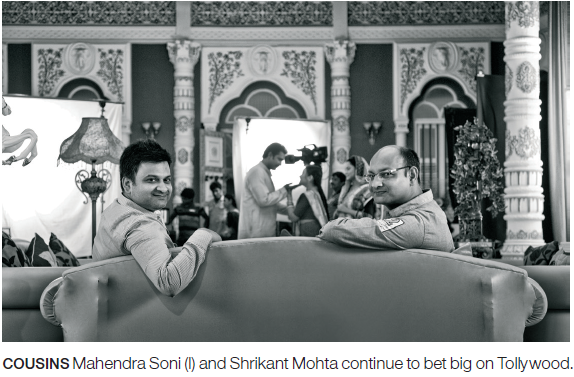 Mohta and Soni say they have tried to release films in other states—even abroad, à la the southern industry—but those investments have bombed due to poor turnout, despite the two crore-strong Bengali diaspora. “They are still not willing to pay for anything other than Ray or Uttam Kumar.” Bengali films also regularly tour the festival circuit, but the focus is on prizes rather than monetisation. “We have now started selling films on iTunes and Google Play,” says Soni. Brand ambassador Khan remains hopeful. “Bengal is an extremely romantic place. Businesses which enhance that romance have a huge opportunity.” Jeet too is categorical it’s just a bad phase. “It’ll take one successful film to stop the noise.” That said, he presses the need for corporate investors, who will professionalise the industry. There’s been some VC and PE talk after the chit bust-up, but things are nascent yet. THE STATE’S HOLLYWOOD-BACKED film cities haven’t flown. Repeated e-mails and phone calls to the office of the cultural affairs secretary, government of West Bengal, went unanswered. (The chief minister herself oversees the culture ministry.) Meanwhile, Tollywood continues to figure prominently in the chief minister’s master plan to woo investors. Dev and Mohta were part of her maiden foreign delegation last month to Singapore, which also included captains of Bengal industry such as Sanjiv Goenka, chairman, RP-Sanjiv Goenka Group, and Harsh Neotia, chairman, Ambuja Neotia Group. Actor-singer Babul Supriyo, who beat the Trinamool candidate from Asansol in the latest polls on a BJP ticket, suspects forced collusion. 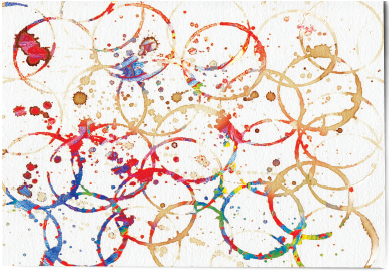 “These are all my friends, so scepticism is my natural reaction. Take Dev, who is at the peak of his career. Why join politics?” Dev didn’t respond to my interview request. But there are signs that Bengal’s culture of mixing politics with business has left the industry vulnerable. In 2012, producer Namit Bajoria (who owns the Kutchina kitchenware brand) was reportedly fined Rs 1.25 lakh by the Technicians’ Guild, a union of professionals, for not carrying enough local crew to Iceland, where his film Hanuman Dot Com was shot. Gaurav Pandey, its director, dubbed the union “a money-extracting machine” in an interview to The Times of India. His confidence rings true, as his assistant gives me a guided tour of the railway station, the helipad, and the impressive gold-and-crimson colonnades of a China Town. But there are obvious signs of disrepair. “Money has dried up,” the assistant says. Then, just as we pass by a bunch of village boys bathing in a pool, his mobile rings. He says it’s Avik Bagchi, Prayag Group’s CEO, for me. “We are looking at a number of options, including FDI,” Bagchi replies confidently. Nothing then of a September 2013 Sebi order which all but grounded his company. Can I have his number for future correspondence? No, but I can leave mine with Alam.